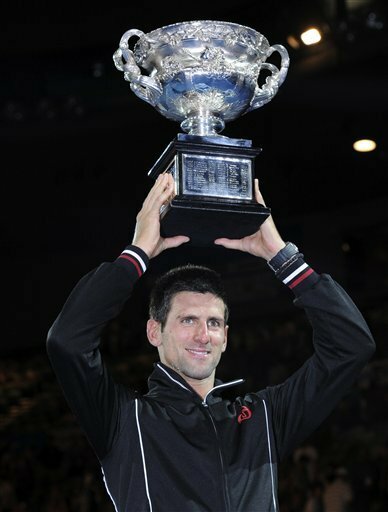 In one of the most stupendous finals in Grand Slam history, Novak Djokovic continued his reign atop men’s tennis and his mastery of Rafael Nadal with a record-setting 5-7, 6-4, 6-2, 6-7 (5), 7-5 victory in the Australian Open final. 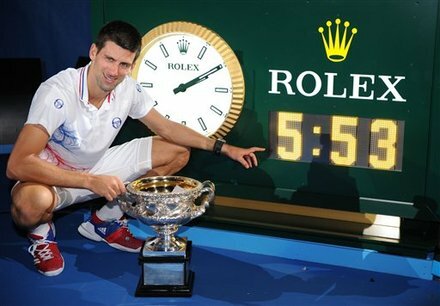 The match lasted five hours, 53 minutes, shattering the record for the longest Grand Slam final in history. 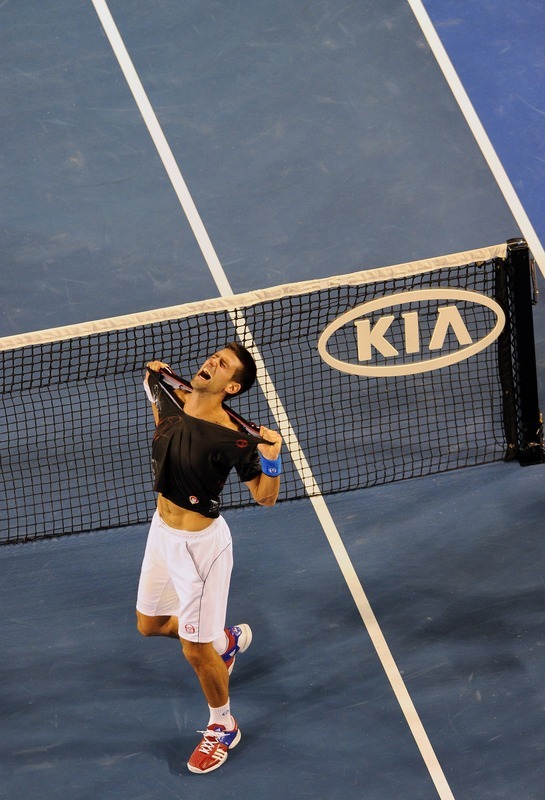 “We made history tonight and unfortunately there couldn’t be two winners,” Djokovic said after the match. It was his third straight major title for reigning Wimbledon US Open champion Djokovic who joins Rod Laver, Pete Sampras, Roger Federer and Nadal as the only men in the Open era to accomplish that feat. 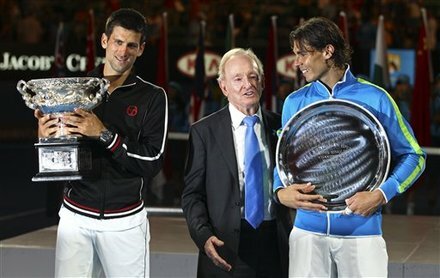 Djokovic also has won seven finals in a row against Nadal, including in each of the last thee slam finals. The Spainiard became the first man in the Open Era to lose three straight major finals. 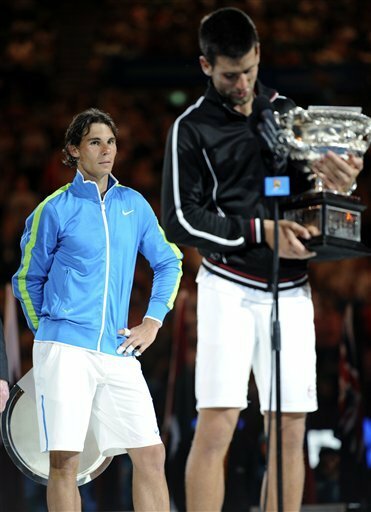 Having reduced Federer to tears when he won the title over five sets in 2009, Nadal maintained his composure during the on-court speeches—and even managed a joke. The previous longest major singles final was Mats Wilander’s win over Ivan Lendl at the U.S. Open in 1988, which lasted 4 hours, 54 minutes. The longest Australian Open final also involved Wilander in 1988, when the Swede beat Pat Cash. Sunday’s match was also the longest in the tournament’s history. The win was the fifth grand slam title and third Australia Open crown for Djokovic who had toiled for years in the shadows of Nadal and Federer. He’s now the biggest star in tennis and celebrated his victory by literally ripping his shirt off much to the delight of straight women and gay men everywhere! Great match, but, enough of the crossing yourself Novak, it was quite tacky when he crossed himself in the last game when Nadals ball hit the net and went out, don’t think God picked you over Nadal. Very yummy shirtless and glistening from the sweat….